If you’re collecting payments online or over the phone from your customers and clients I’m going to show you a simple solution to make things easier. 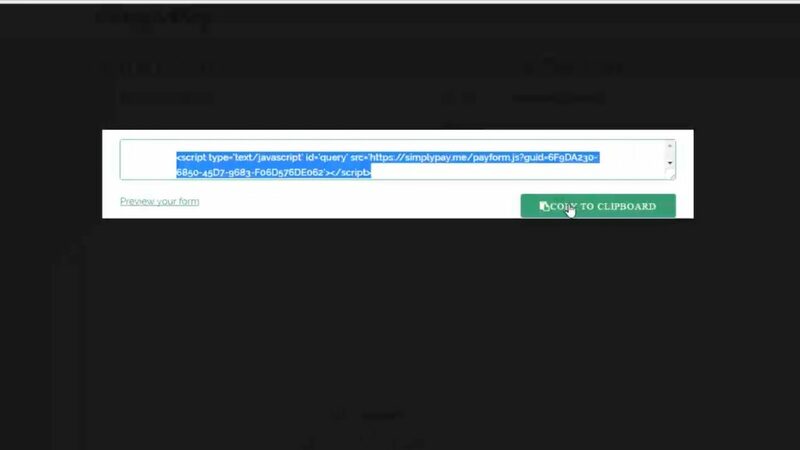 It’s a invoicing tool that allows you to create invoices with a hosted payment link that you can send to your clients via email, text, or IM and you can even embed it on your website. So if you’ve ever struggled with the hassle of setting up online payment forms or payment pages, and you want to simplify the process of accepting payments from your customers, here’s your solution. This starts the process of creating your very first invoice and payment link AND it starts the process to starting your free account. No credit card number needed. 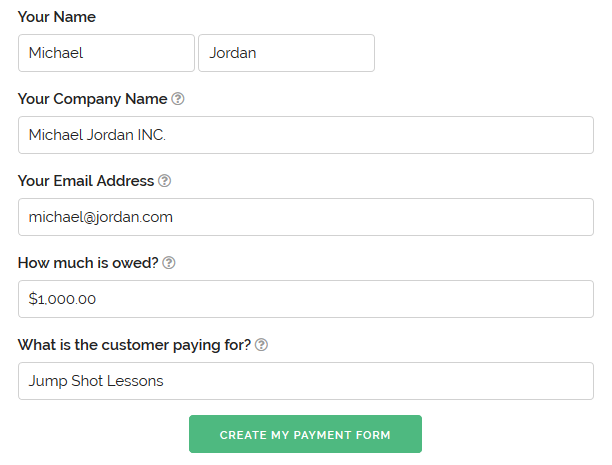 So you’ll just fill out your name, company name, and email address,… how much is owed, and specify what your customer is paying for and click CREATE MY PAYMENT Button. 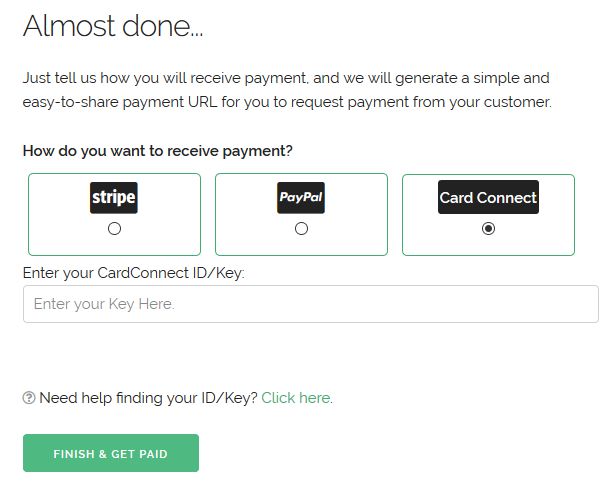 Step 2: The next page allows you to select the payment processor of your choice and the current integrations are, Paypal, Stripe and CardConnect merchant accounts. If you don’t have an account with any of these providers, there’s links in the description for all three. For Paypal, just enter your Paypal email address that’s associated with your account and you’re ready to go. For stripe, you’ll need to log into your Stripe account and come over to your Account Settings tab. Just copy those codes and paste them in here. And Finally for the CardConnect option, you simply need to enter your Merchant Account ID number. You can also preview your payment page by clicking the preview button. This is the page that your customer is going to see. Step 4 is to email or message the link to get paid! After you first invoice link is sent, you’ll want to choose a password to finalize your free account setup. As you can see, it brings you back to the dashboard where you can see your first invoice listed right here. 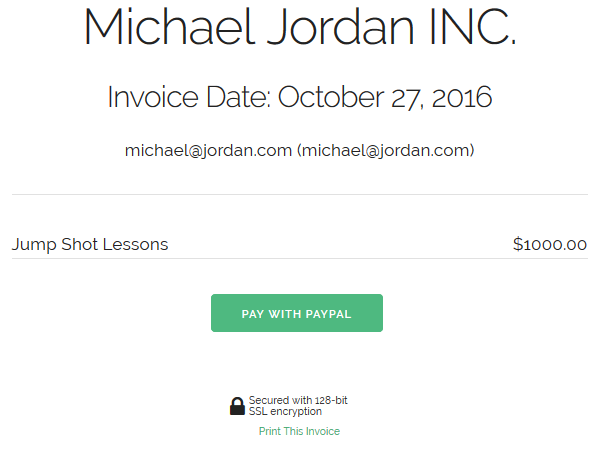 If you want to create a 2nd one, just fill out the dollar amount and the memo line of the invoice and click to generate the 2nd invoice. Again, grab your link and click away to go back to the dashboard. You can see that the invoices are listed right here in order and you have a couple of options. If you click this icon, you’ll generate an embed code for you to put the payment link on your website. If you click on the mail icon, you’ll generate your payment link just like I showed before, that you can email to your clients and customers. This icon will show up once the invoice is viewed by your customer and you’ll also receive an email notification letting you know which invoice was viewed. Once you’ve completed this is a very simple and straightforward process there’s a couple customizations that you can do with your account. From the account dashboard, you can click here to upload a logo which will appear on all of your invoices that you create. You can update the username and password as well as your company name. So again, if you’ve ever invoiced your clients and had problems collecting the payment, this tool will give you an easy way help your clients pay their invoice online. The software is free to use, so head over and take it for a test drive. Thanks so much for watching and be sure to tap that like button, share this video with a friend who you think can use this tool, and subscribe to the channel to get more tutorials JUST like this one related to collecting payments and online marketing! Until next time I’m Brian Manning… have a awesome day!